I once heard a meteorologist describe our atmosphere like a cheeseburger – the bread, the toppings and the meat. 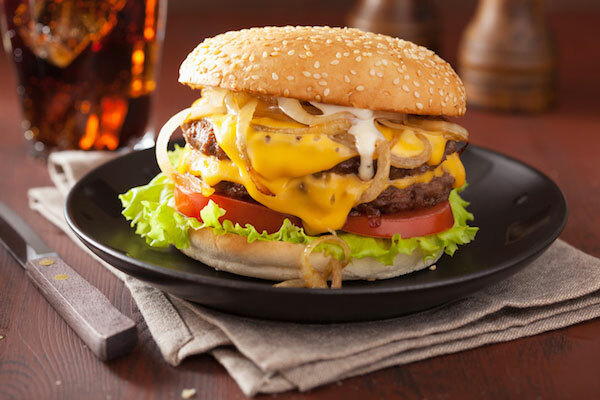 All the various layers play a role in making the cheeseburger, just like the atmosphere needs all its various layers. Couldn’t you say that background screening is like a cheeseburger, too? Mmmmmm…. Melty gooey background screening cheeseburger. First, the bottom bun: The Consent Form. (You thought I was going to say top! It’s the bottom so you have somewhere to put everything else!) The consent form is what lets you start a background check through providing it to the applicant and getting his or her signature.The bottom bun is kind of boring, but without it, you have a pretty big mess! Consent Form compliance is exactly the same! The Meat (or veggie patty): Your background screening policy & best practices. Your background screening policy determines the scope of your searches as well as which services will be run and when. It gives direction to everyone using your background checks. It helps you remain compliant and could help you avoid a costly litigation battle. Your policy should be reviewed regularly internally and by an employment attorney. Like overcooking (or for me, undercooking) your burger, best practices and policies need to be just right. Too much cooking and they’re prohibitive and impede your ability to get the job done. Too little and you could have a bloody mess! Your policy and best practices are literally the meat of a background check. Lettuce: The SSN Verification & Address History. Just like lettuce should be crisp and fresh, the SSN Verification & Address History lets you verify you’ve spelled your applicant’s full legal name correctly, the SSN is valid and you have an address history on your applicant to help facilitate the rest of your searches. Tomato: Criminal Records. A bad tomato is really, really bad. Criminal records are the same. Depending on the source, criminal record searches can be too narrow of a scope for your needs or too broad and leave gaps in your search. It’s important to pick the right search that meets your expectations and requirements for a comprehensive background check! Sauce: Required searches for your industry! Everyone knows someone who just can’t eat a burger without some kind of sauce – it’s required! In the same respect, you may have requirements for drug testing, motor vehicle records, professional licenses and industry-specific searches like medical sanctions. Additional options like Choice ReScreen can help top off your background screening process when you’re making an internal promotion or transfer decision, or for continued employment. The Top Bun: Adverse Action & Disputes. Finally, when you make a decision not to hire, promote or transfer an employee based all or in part on the results of a background report, you need to follow Adverse Action: (1) Pre-Adverse Action Letter, (2) Wait a “reasonable amount of time” and (3) Post-Adverse Action Letter. Additionally, it’s important to consider disputes – how a dispute will be handled, if you will maintain a conditional offer of employment, etc. – and ensure these are clearly addressed in your policy. The top bun holds everything together, but if it’s too thin, it will turn to mush. Ignoring adverse action and disputes or having a flimsy, unclear policy will make a mess. Well, I have to say we built a pretty good cheeseburger! Background Screening, when most effective, is well organized. It also considers all aspects of best practices, service mix, policy and training. Since we didn’t mention onions… the wrong onion can ruin a burger. Similarly, the wrong background screening company can really stink up your background check! Choice Screening works hard to be the perfect compliment to your background screening cheeseburger!